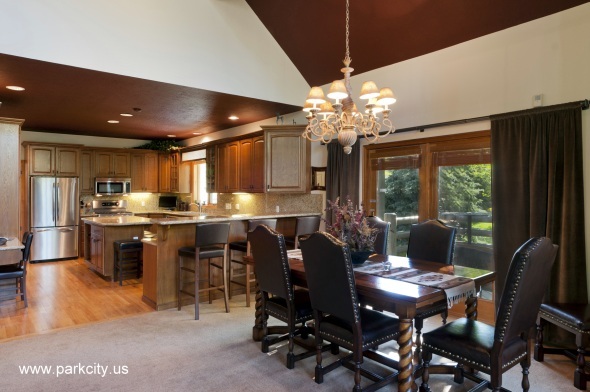 Luxury home features 4 bedroom, 4.5 bath, 3 car garage, fully-stocked gourmet kitchen, flat screen TVs/DVDs, office/media room w/computer station, high speed wireless Internet, and sleeper sofa. 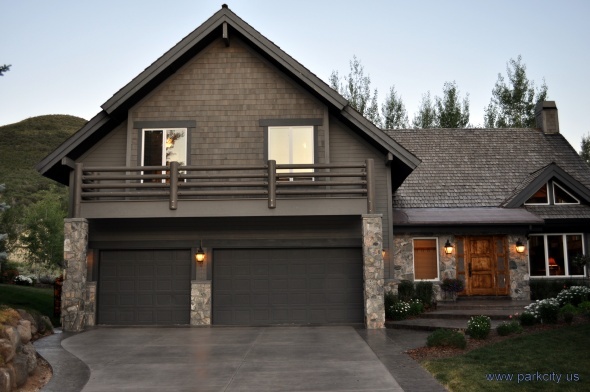 It has a large deck w/private hot tub and awesome mountain views. 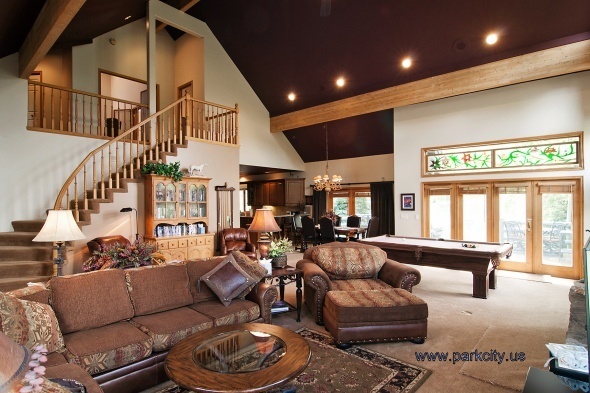 Great for a family holiday lodging or as an executive retreat. 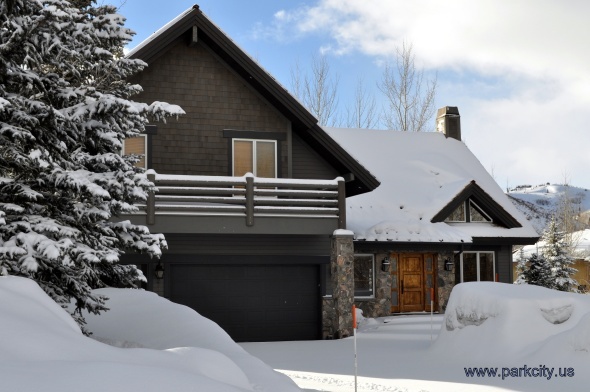 This Gorgeous Deer Valley Luxury Home is just one mile from the world famous Deer Valley Ski Resort, Consistently ranked #1 in North America. Four Bedrooms, 4 ½ Baths, Fully Equipped Gourmet Kitchen, Two Fireplaces, Patio With Private Hot Tub, Pool Table, High Speed Wireless, Four Hi-Def LCD TV’s, Premium Cable Package, WII Gaming System, Fully Equipped Office with Computer – Printer/Copier/Fax/Scanner, Washer & Dryer, Two Sleeper Sofas, Vaulted Great Room, Two Private Decks with Stainless Gas Grill, Three Car Garage, Fabulous Views of Deer Valley, & Easy Access to All the Ski Resorts. 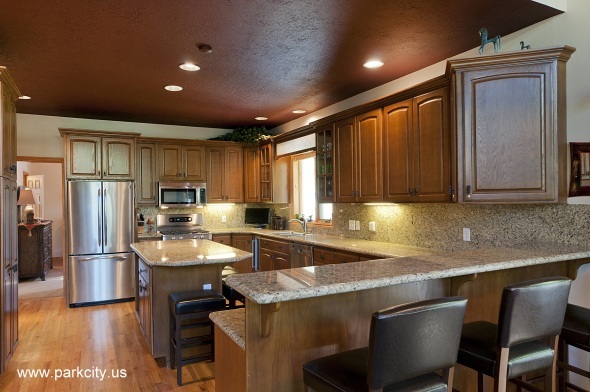 Fully Equipped Gourmet Kitchen with Stainless Steel Appliances & Granite Countertops. 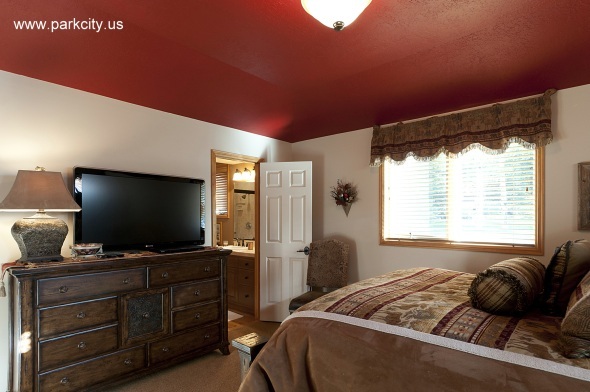 Fully Equipped Office is Located off the Master Bedroom & is Accessible from the Upstairs Hallway. Queen Sized Sleeper Sofa Allows For 5th Bedroom or Child’s Room Next to Master. 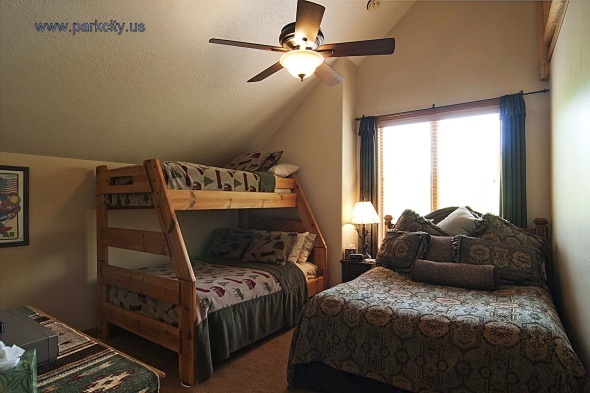 This Cozy Ensuite Bunkroom Features Two Double Beds with an Extra Twin Bunk on top to Maximize Sleeping Space. It has a 42 inch LCD HDTV with DVD/VCR. 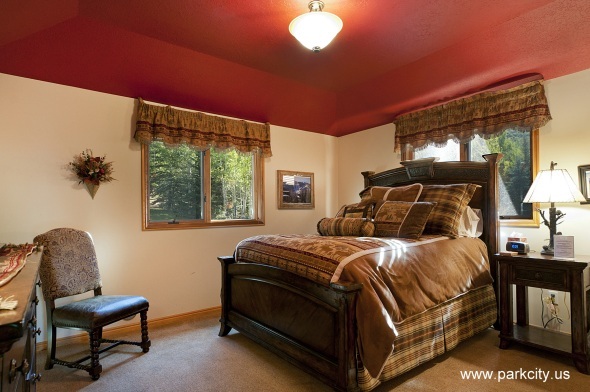 Features a Queen Bed With Luxury Linens & Twin Bunk Beds. 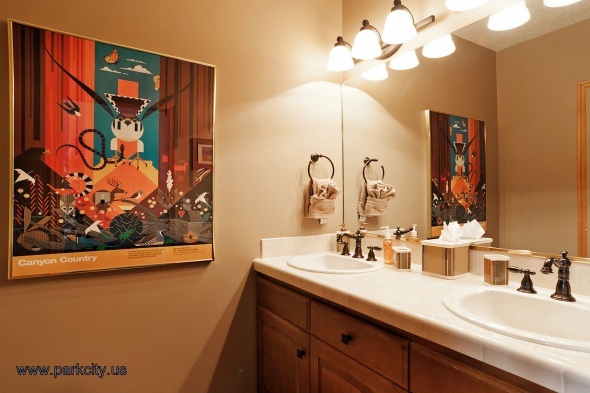 Ideal for Guests with Kids. 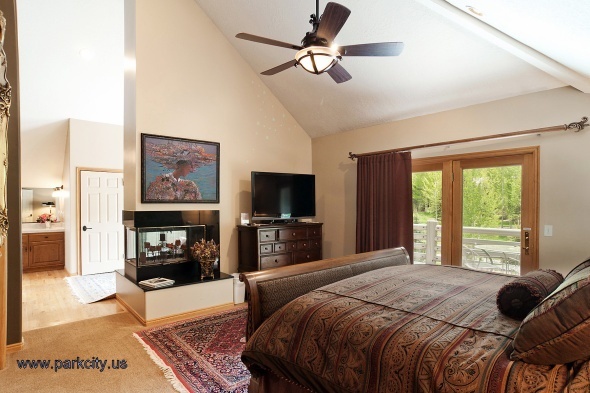 This Cozy Room has a Full Private Bathroom & TV with DVD/VCR. 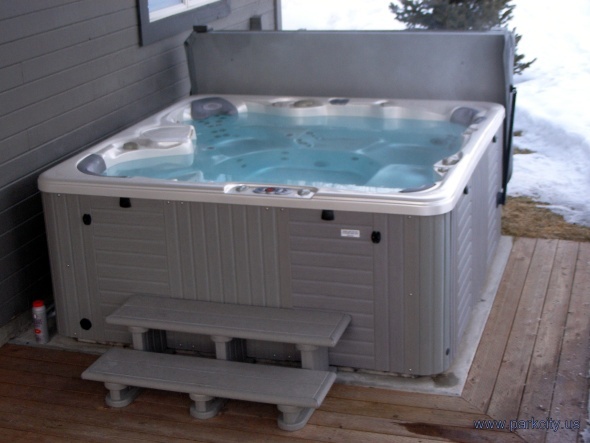 Relax After an Exciting Day on the Slopes in This New Caldera Jetted Hot Tub. 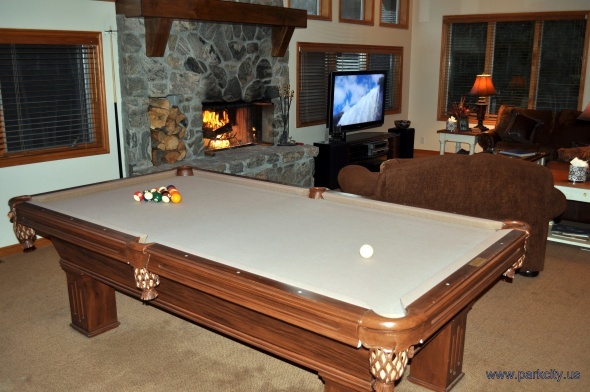 Enjoy the 52 inch Sharp HD LCD TV, DVD/VCR & WII Gaming System with integrated sound system, Play your best game on this full size Olhausen Pool Table. 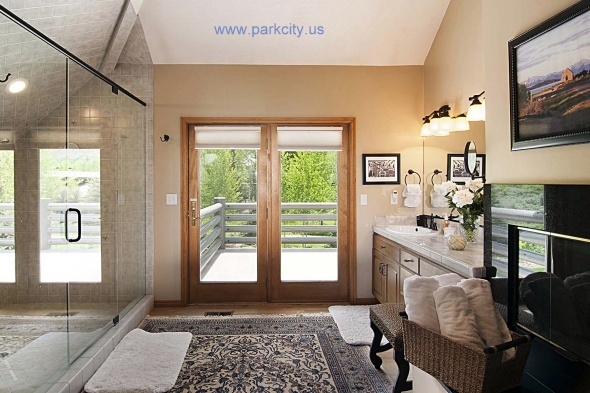 This Home is just minutes from Deer Valley, Park City and The Canyons ski resorts and Park City’s HistoricOld Town. 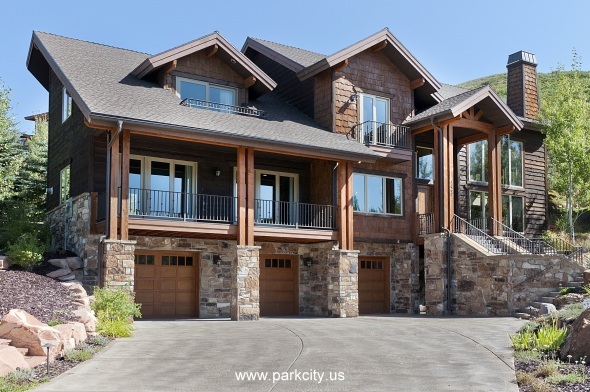 Weekly or monthly rentals, this 3500 sq ft. luxury home features 4 bedroom, 4.5 bath, 3 car garage, fully-stocked gourmet kitchen, flat screen TVs/DVDs, office/media room w/computer station high speed wireless Internet and sofa sleeper. 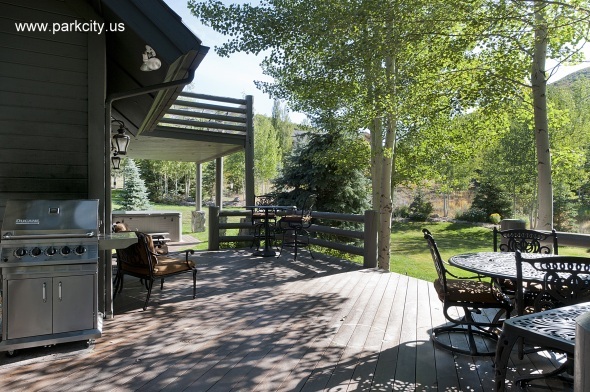 A large deck w/private hot tub and awesome mountain views. 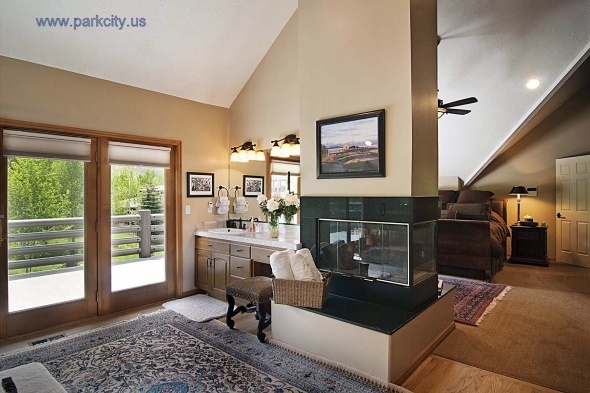 Great for a family holiday lodging or as an executive retreat. 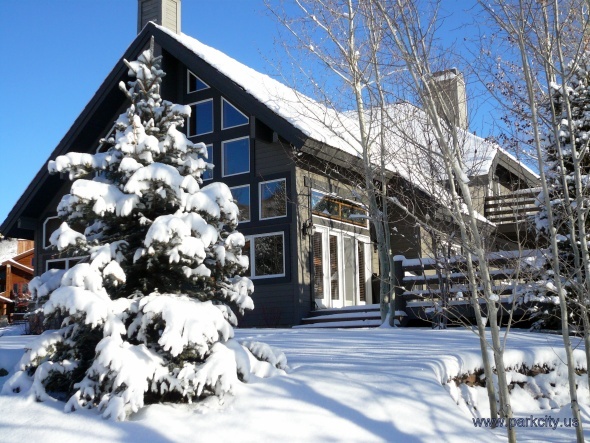 Sleeps 13 – 17.